The Context of White Supremacy hosts our 7th study session on Pamela Evans Harris’s second book, BLACK LOVE IS A REVOLUTIONARY ACT. Before her unfortunate passing in February of this year, #PamTheGreat managed the http://RacismWS.com website and authored numerous books and reports that explicitly attack the System of White Supremacy and offer suggestions on how to counter racism. Pam was one of The C.O.W.S. listeners most regarded guests and made innumerable visits to the broadcast for almost a decade. Deeply saddened by her transition, we’re studying her work to honor her life and to learn constructive information to permanently eradicate White Terrorism. Pam disclosed that the primary motivator for this book was to help minimize the enormous animosity between black females and black males. Last week’s session reminded Gus that he and Pam had a major disagreement off-air about the anti-black male tone of her work. 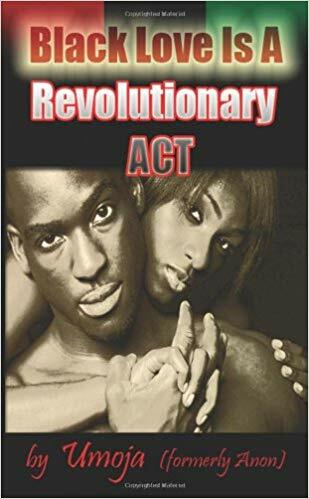 The writing on “interracial relationships” suggests untold numbers of black males are “feverishly” hankering for White Women and that a syndicate of poor uneducated black males “date” White Women to spite more educated and affluent black females. Conversely, the book suggests that some black females and White Men may connect authentically. No such allowance is suggested for black males in Tragic Arrangements with White Women. The use of Numerous quotes from Dennis Rodman left Gus and some other readers with the impression that the dress-wearing, retired basketball player is being projected as an accurate representation of the average black male in the United States. No mention was made of Rodman’s near suicide. Having not read the book in some six years, Gus cannot now endorse this book as constructive counter-racist material.